Participate in 2019 The Bath Short Story Award. 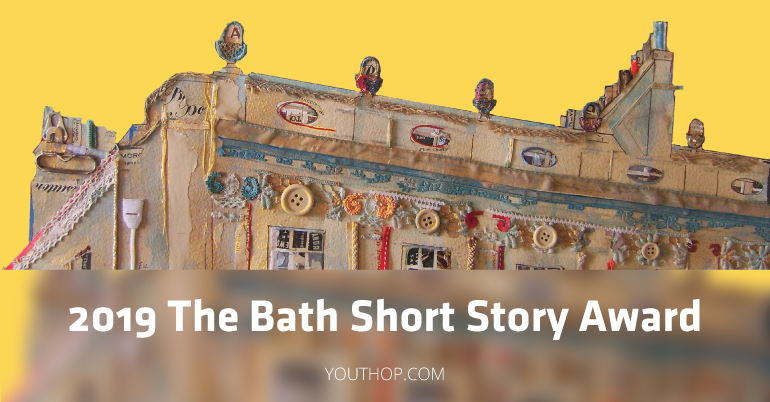 The seventh international Bath Short Story Award is now open for entries and closes at midnight BST, 15th April 2019. This year the shortlist judge is the literary agent, Samuel Hodder, from Blake Friedmann Literary Agency. They accept stories online or by post up to 2200 words long on any theme and subject. £50 for the local prize. Click on the PayPal buttons above. Pay using your PayPal account or using your Credit/Debit card. If you pay by Credit/Debit card, please take care when entering your email address, as this is the address they use to contact you. Click on ‘Forward’ to forward the email. ‘Attach’ your entry file to the email. ‘Send’ your entry to the following address. Payment: Sterling cheques or postal orders for £8.00 (or multiples of £8.00 for more than one story) payable to Bath Short Story Award are acceptable. We do not accept cheques in other currencies. Contact Details: On a piece of paper separate from your story(ies) list the following: Full name, email address (or postal address and telephone number if you have no email) and postcode. These details are required in case you are long or shortlisted and to see if you are eligible for the local prize. They’d appreciate it if you could say how you heard about the competition. Thank you. Send: Cheque or postal order, contact details, and your paper-clipped and page-numbered story(ies) to 20 Penn Lea Road, Bath, BA1 3RA, UK. Please do not send by Special Delivery or Recorded/Registered Mail – they may not be around to sign for it.